The decision of the National Peoples Congress (NPC) of China to scrap the two-term limit for the post of the President has predictably led to a chorus of indignant warnings from the western press. China is all set to become an authoritarian and dictatorial regime – such has been the almost unanimous conclusion of outlets and experts from across the western world. But the west's inability to digest a political system different from its own forms of democracy does not imply that Beijing is building a regressive political apparatus. Analysts argue that China's rapid growth, and the fact that one in every four citizens is a member of the Communist Party of China (CPC), along with the country's well-defined institutional mechanisms, leave the country with as good or bad a model as any other across the world. On Sunday, the powerful NPC, the legislative body of the country, which has over 3,000 members, abolished the term limits that have been in place for over 35 years. President Xi Jinping’s signature ‘socialism with Chinese characteristics’ was also included in the constitution. The decision by the third plenary session of the NPC was almost unanimous with 2,957 voting in favour and two members voting against. Three members abstained. The decision, of course, does not make Xi 'a ruler for life’, as the Presidential elections will continue to be held every five years. The President can removed by the NPC by a simple majority. 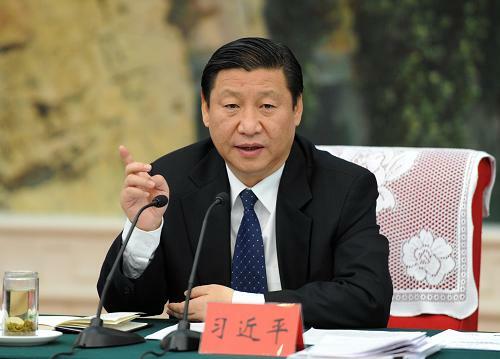 Xi, who became the CPC General Secretary at the 18th Party Congress in 2012, became the President in 2013. His tenure as General Secretary was extended for another five years during the 19th Party Congress held last year. It is worth noting that countries like the United Kingdom and India, which follow a parliamentary form of government, have no term limits for their Prime Ministers. Since the party congress in 2017, many have compared Xi with Chairman Mao Zedong. There are signs that he is attempting to consolidate power to usher in his dream of 'socialism with Chinese characteristics' and strengthen his anti-corruption campaign within the party. The results of these steps are yet to be seen. But clearly, there is substantial support for Xi among the cadre of the CPC. The party's membership is nearly 90 million. China has witnessed relatively stable growth even as countries around the world are still reeling under the impact of the economic crisis or are making very slow recoveries. According to Mu Chunshan, a Beijing-based journalist, “Members of the urban middle class like me have seen our salaries double over the past few years and our parents’ pensions have also been increasing. This is a fact that no opponent of the CPC can deny and is also the thing which gives the CPC, and Xi, the most pride.” Under Xi, the CPC has expanded its base substantially. In addition to encompassing large sections of peasants, workers, students and soldiers – a substantial chunk of the working class - the party has also ensured its presence among private entrepreneurs and the technological elite. According to reports, the CPC has its branches in all of China’s private enterprises, including internationally famous firms such as Tencent and Alibaba. Xi’s anti-corruption drive, which has sought to address a serious problem in the party, has won widespread acclamation. Since 2012, over 120 senior officials, high-ranking military officers and senior executives of state-owned companies have been implicated in corruption cases. At the international level, China's influence has been increasing with Xi's initiatives like 'One Belt One Road'. Critics fear that as Xi’s power increases, his say over all decisions of the party and state will be final, leading to his emergence as an autocratic leader. However, they may be underestimating the inner checks and balances of the CPC, which makes the party resilient to such possibilities.